Andes Hostel is located in Barrio Bellas Artes, one of the trendiest, most beautiful, and best located neighborhoods in downtown Santiago! The neighborhoods architecture, which combines both classic and modern styles, the designer cafes located in each corner, the Bellas Artes Museum, the Parque Forestal, and the youthful environment, make it a really fun place, where you will be entertained 24 hours a day, 7 days a week! All of these features are reflected in Andes Hostels design, which combines a modern trendy style with the classic structure of a beautiful 1940s building. Our young and friendly staff will help you with everything you need, making your stay a pleasant and unforgettable experience. They are very knowledgeable of the neighborhood and of Santiago, and they have all the information you may ever need, including useful information on tours, maps, pubs, and restaurants. Because our hostel is brand new, you will find that our facilities are in mint condition, specially designed for your comfort and convenience. During your stay you will have the chance to enjoy our shared areas, relaxing in the living room while listening to music or watching TV, checking your emails, playing a game of pool, or staying at the bar to meet people while enjoying one of our famous pisco sours. In our roof terrace you can have a sun bath or enjoy a Chilean barbeque, with a lovely view of the city. If you want to have more fun, take a part in our weekly activities, which include bbqs, tours, and parties. You can also easily visit any place in Santiago, since we are located only a few steps away from the Bellas Artes subway station! 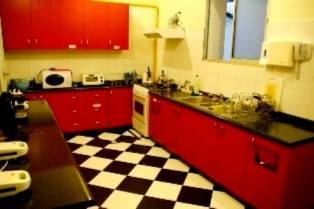 We have dorms of 4 to 6 people and private rooms with bathroom. Our rates include a tasty breakfast, towels, sheets, and daily cleaning of each room by our staff. If you are fed up by the boring bathroom waiting lines in hostels, dont worry, Andes Hostel has more bathrooms than any other hostel in Santiago! 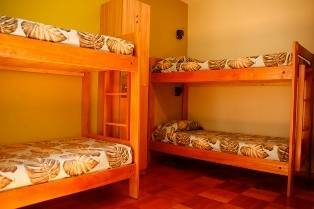 Well be waiting for you at Andes Hostel, with the best service and location in Santiago! 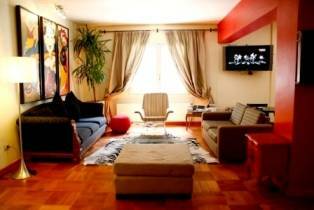 Andes Hostel is located in Barrio Bellas Artes, one of the trendiest, most beautiful, and best located neighborhoods in downtown Santiago! The neighborhoods architecture, which combines both classic and modern styles, the designer cafes located in each corner, the Bellas Artes Museum, the Parque Forestal, and the youthful environment, make it a really fun place, where you will be entertained 24 hours a day, 7 days a week! In case of no show, it will be charge the first night of your stay. AndesHostel is located at Monjitas 506, Santiago, Chile. From the bus station or the train station, the easiest way to arrive is to take the Metro. 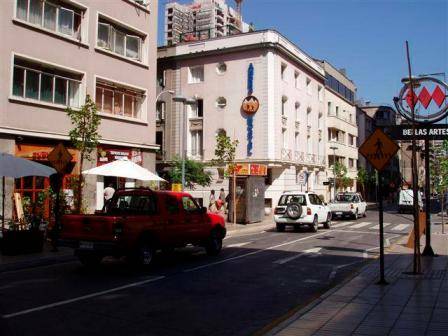 AndesHostel is located just outside the Bellas Artes Metro Station (Metro Line 5, the Green Line). It is impossible to get lost!